Photos by James and Kristen Miskelly (top left), Julie Mundy (top right), and John Reynolds. Dunegrass is a large tufted perennial species that grows in clumps from thick rhizomes. 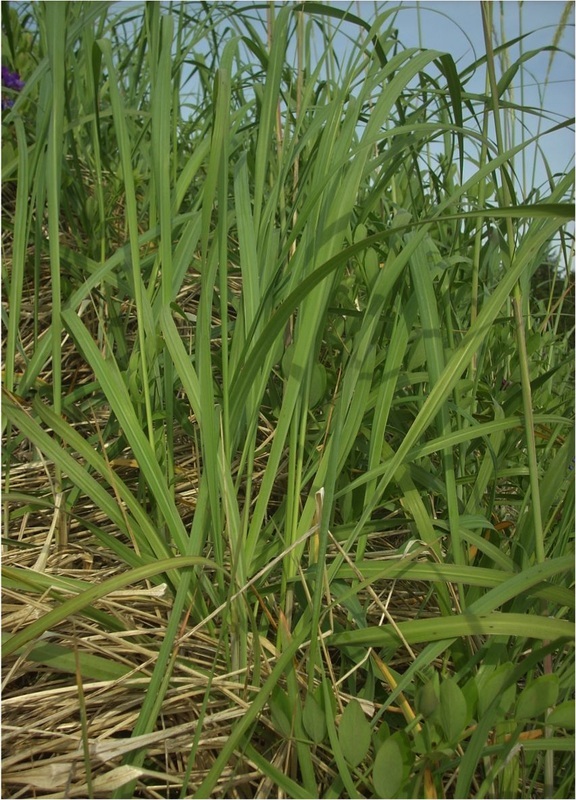 The thick, upright stems reach 1.5 m tall and bear large flat or folded leaves. These leaves are tough, get to 1.5 cm wide, are smooth on the bottom and finely hairy on top, and have open sheaths. The inflorescence takes the form of a 10-30 cm long, 1-2 cm thick spike (see photos at left) with paired spikelets. 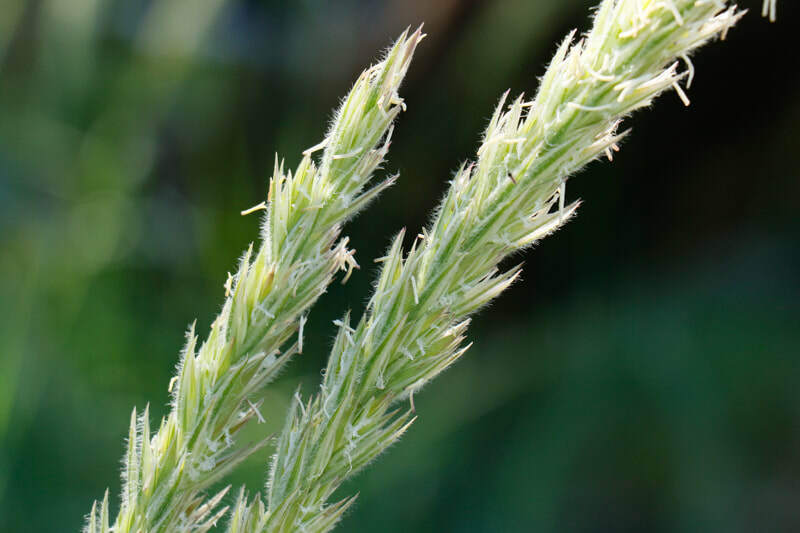 The glumes and lemmas (parts of the spikelets) are nerved and softly hairy. Click here for more detailed identification information and some helpful diagrams. 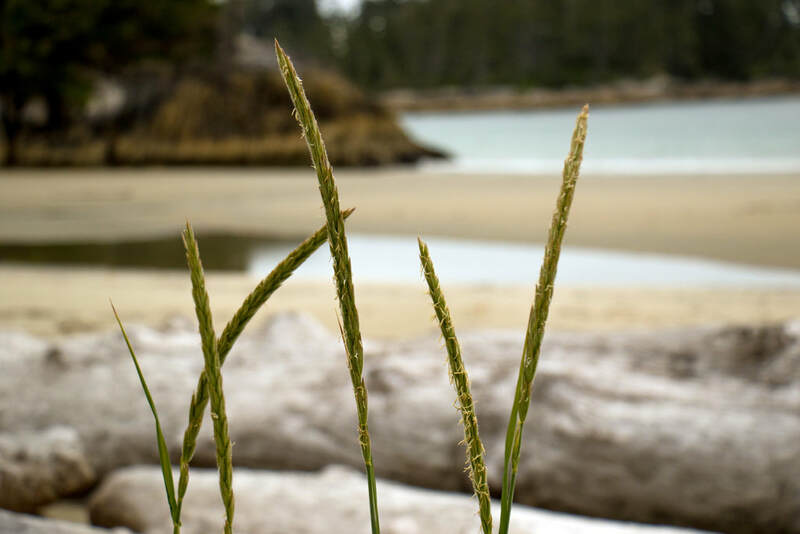 Dunegrass grows in coastal shoreline habitats - dunes along sandy and gravelly ocean beaches, and along the edges of shoreline forests. It is found along the west coast from California to Alaska, along the northern coast of North America, and along the east coast. It is also found along coastal east Asia and coastal Greenland. Blue wildrye (Elymus glaucus) is another tall, large-leaved grass species, but its inflorescence spikes are quite different in appearance. 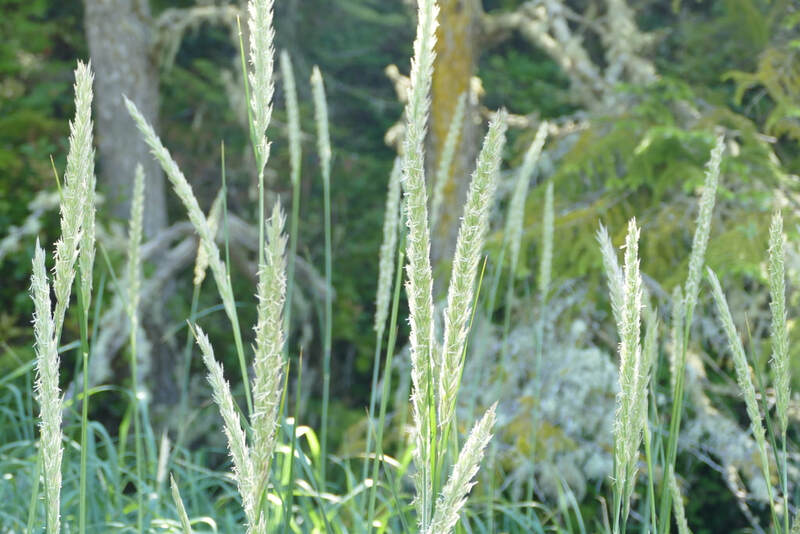 Dunegrass was traditionally used by coastal First Nations groups for weaving objects such as basket handles, pack straps, and tumplines. It is used in Japan to make ropes, paper, and mats. Dunegrass was the most prevalent species on dunes adjacent to the ocean until European beachgrass was introduced and became the dominant species. Leymus mollis (Trin.) Pilg. . In Klinkenberg, Brian. (Ed.). E-Flora BC: Electronic Atlas of the Plants of British Columbia. Lab for Advanced Spatial Analysis, Department of Geography, University of British Columbia, Vancouver. Accessed 11/09/2013. Pojar, J. and MacKinnon, A. (1994). Plants of Coastal British Columbia. Vancouver, BC: Lone Pine Publishing. P. 364.